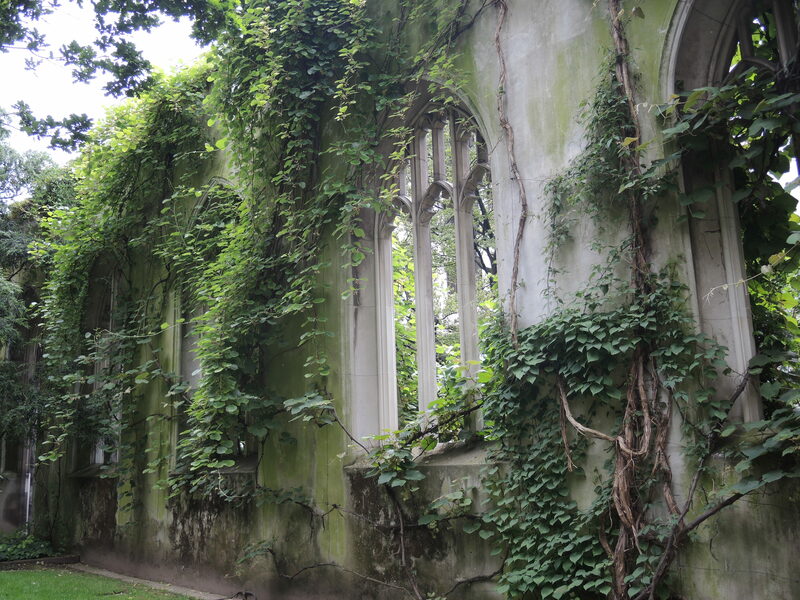 This garden was laid out following the damage to the St. Dunstan in the East Church during the bombing in World War II. It’s a wonderful place to stroll through and is open to the public. This entry was posted in Travel Photos and tagged 50 Year Project, Blitz, Bombing during WWII, England, History, Life, London, Photography, St. Dunstan in the East, Travel, Travel Blog, Travel Journal, Travel Photo, World War II. Bookmark the permalink. They did a great job with the place. It’s amazing the walls are still there. I’m surprised as well. And it amazes me how much damage was inflicted. We didn’t have this type of damage in the States (where I’m from) so it always shocks me to see place after place that was hit. My city, Exeter, suffered dreadful damage in the blitz, thankfully the cathedral wasn’t hit too badly. It’s amazing to me how much damage actually happened during the war. I read about it, but didn’t completely understand until I started seeing it with my own eyes. And this is decades later. Can’t imagine what it was like than. Glad to hear the cathedral survived for the most part. It’s a nice way to remember what happened, but still makes it a beautiful spot. Oh man I used to love Nancy Drew. I would sit in my favorite rocking chair and read them. However, I can’t remember the individual stories. I keep thinking I should reread one, but I don’t want to ruin the memory. And nope, I don’t think you are weird at all. Beautiful picture, TBM! It must be a pleasure to take a stroll there. Thanks for sharing this picture. Next time I want to bring a book and sit and relax some. Thanks, Vishy. Thanks sounds like a wonderful plan, TBM! First word that came to my mind – Tolkien :). I love this shot!! Ruth thought about Nancy Drew and The Secret Garden came to my mind. it’s a serene spot amidst the hustle and bustle – wonderful shot! I love finding these little gems. This is an amazing picture. Love it. Thanks, Caroline. It’s a beautiful spot in London. Yes and for good reason. Beauty and solemness all in one place. I agree. Wars should not be forgotten and maybe one day we as humans will actually learn from them. I can at least hope we do. Well said … but I don’t see the human ego allowing it. It looks amazing! Great shot!